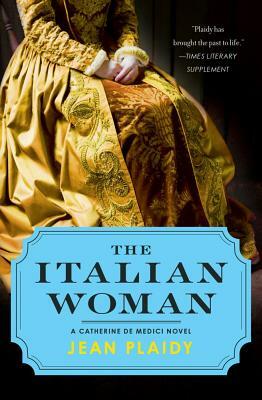 “In The Italian Woman I have endeavoured to portray Catherine de’ Medici in the middle stages of her career, when she was no longer the neglected wife and the most humiliated of all the Queens of France, but the powerful mother of kings. At this stage Catherine was not yet the infamous woman she was to become towards the end of her life, but she was already beginning to show definite signs of that ruthless monster. To a certain extent much of her life must remain a mystery, for no amount of research can tell us whether or not she actually committed all the crimes which have been laid at her door. In this respect the novelist is in a more delicate position than the biographer, for the latter can present a theory as a theory, while the novelist must make up her mind one way or another, since the object of a novel–a work of fiction–is to create an illusion of reality; and the novelist must naturally be in no doubt as to her characters’ motives and actions. In view of Catherine’s character as it gradually emerged through acts which undoubtedly she did commit, and through views expressed in her own letters and in the reports of her contemporaries, I do not think that, in The Italian Woman, I have been unfair to her. There was no doubt that she was a callous murderess; and even those judges who are clearly biased in her favour have never attempted to exonerate her from responsibility for–for instance–the murders of Coligny and Lignerolles; nor has it been possible to excuse the part she played in that most horrible of crimes–the mass murders of the St Bartholomew. It has become the fashion among modern historians to frown on the most colourful passages of history. We are told that Francis, the Dauphin, died not of poison, but of pleurisy, and that Jeanne of Navarre died of consumption and not through wearing gloves supplied by Catherine’s poisoner-in-chief. And yet, Catherine was obsessed by her longing for power; and Francis did die after drinking from a cup presented by his Italian cupbearer who had come over in Catherine’s suite; and by Francis’ death Catherine was immediately Dauphiness of France, later to be Queen. As for Jeanne, she did die rather suddenly and mysteriously when she was away from home, and she became violently ill after visiting the sinister little shop on the quay opposite the Louvre. Her death did occur after she had signed her son’s marriage contract, to so which Catherine had lured her to the court; and it must be admitted that her end came speedily after she had served Catherine’s purpose. Moreover, it cannot be denied that Catherine was a murderess.